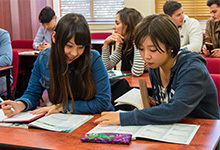 Learn English with other students also preparing to study at an Australian high school after their Shafston course. 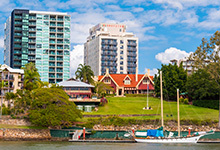 Study with us in a real campus by the river at our Brisbane campus in a dedicated 'high school' zone. 25 hours/week of intensive tuition and regular assessments for each subject area. We employ teachers who are not only well-qualified but have many years of experience working in the education industry. 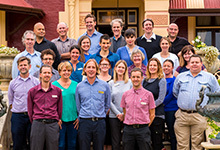 The Shafston High School preparation program is designed to prepare international students from a wide range of cultural backgrounds, aged between 14 – 17 years old, as an entry pathway into mainstream study at an Australian high school. All your Shafston classes will be in English. Our intensive High School preparation program is designed to help you improve the core macro skills – Speaking, Reading, Writing, Listening and Grammar. In addition to this, you will study English for STEM (Science, Technology, Engineering and Mathematics), CLIL (Content Language Integrated Learning) Intensive Reading program, and Independent Skills workshops with a special focus on learning essential foundation academic skills to help equip you to achieve successful study outcomes, such as note-taking, mini-oral presentations and individual project work. 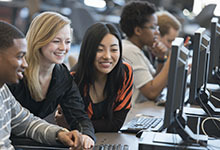 The Shafston program offers a variety of classroom activities - participating in group work tasks as well as activities to become successful autonomous learners. * STEM – Science, Technology, Engineering and Mathematics. **Supervision provided for extra-care homestay students. The aim of the Shafston International High School Preparation program is to prepare students with the necessary English language skills and confidence to pathway and complete their secondary schooling in an Australian high school, or in another English speaking country. develop essential academic skills to successfully study in a high school learning environment such as essay writing skills, research skills and note taking. participate in regular sporting and art/craft activities to ensure they stay fit and creative at the same time! study in a dedicated HSP zone for HSP students! Our High School Preparation Brochure has all the information that you need to know about the High School Preparation program that Shafston offers. Q. Why do you choose Shafston International College? A. I like Australia. I wanted to visit Brisbane this time after Melbourne two years ago. Shafston International College is located near to city so I was able to get to the city in 10 minutes. Shafston has a big grass field and river view. That’s really cool and the reason I choose to study at Shafston. A. I really like teacher Ben. He was my High School Preparation teacher. He is very funny, kindly and friendly. 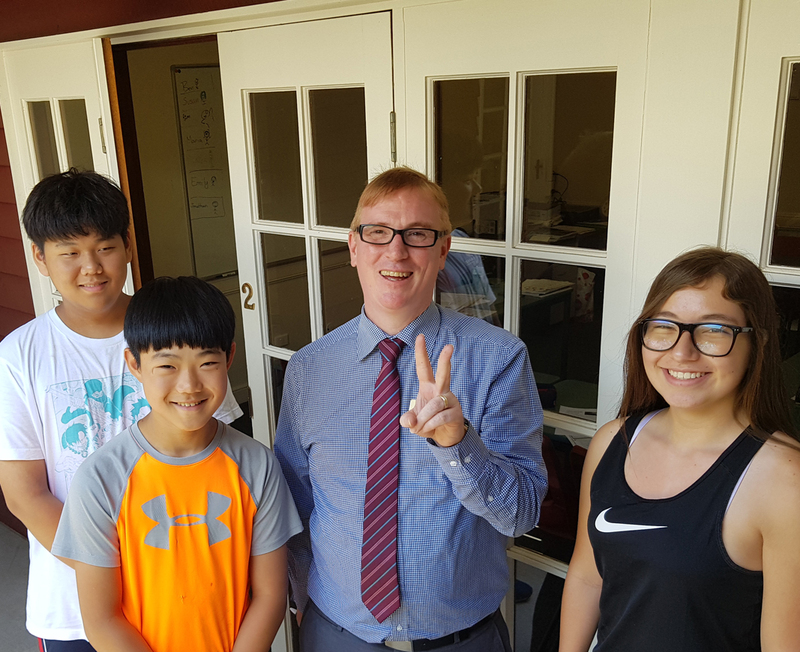 He is my favorite teacher. I think everyone will like Ben. Cafeteria is large and clean. Especially the foods were really delicious. Q. How was your experience while studying in High School Preparation course? A. Speaking and paper learning are well balanced. Every Wednesday afternoon I made presentation (PPT) as a homework. It was good for me to practice my speaking. Sometimes we are doing test. That is also a good chance to check my English level. I am satisfied with my result, level B.
Q. Thoughts about living and studying in Brisbane? A. It was a great and important experience for me. I think it’s better to be able to go sightseeing while studying. I want to come back to Shafston again if I can. 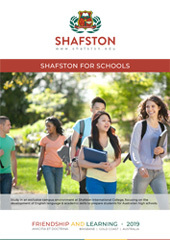 Shafston International College is great place to study. Get your child High School Ready!